Click to item; Skirt: Karen Millen. Top: c/o Missguided. Shoes: Kurt Geiger. Sunglasses: Miu Miu. Earrings: Chanel. Another midi skirt. I know, I know. I'm sorry. As if I needed another one. Do you ever see visions of yourself wearing an item somewhere and think 'I must make this vision a reality!' or even 'when I have this skirt my wardrobe will be complete.' Well, I tell myself all kinds of stories to justify a purchase I probably shouldn't make. I often try and talk myself out of it but in this case I was unsuccessful ...Oops! Although, to be fair I have been a Lizzie McGuire style outfit repeater and worn this numerous times as I adore it beyond words. Although it's quite a statement print, I also think it's timeless and not obviously from anywhere in particular - in the sense that you don't look at it and think 'that's obviously from Topshop/Zara' which is nice for a change. I wore this for a perfect Sunday outing with my friend Bianca. First we headed to Columbia Road Market to peruse the flowers, and we both picked up a couple of bunches of peonies (so stereotypical blogger/so original) Then we made our way to the rather well known hipster haunt The Breakfast Club for brunch. Here is where I should be a good and professional blogger, by presenting you with copious photographs of pancakes laden with fresh fruit from several different angles. However, when the obligatory instagram photo had been taken I couldn't quite stop myself from devouring them like a wild animal, all before I'd had the chance to take out my camera. Oops again. Must try harder next time. P.S. You might notice I've added a rather snazzy new 'Shop The Post' feature below, which I really hope you'll enjoy! I think it makes things a lot easier if you feel compelled to search for an item I've featured. Wow so stunning and classy, you have such a wonderful style! 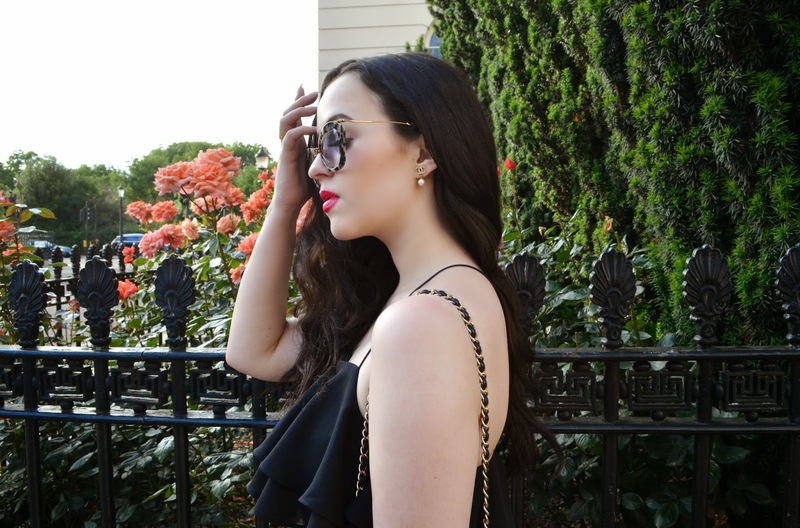 the ruffled cami is so nice, another on point elegant look ! That skirt is so stunning! 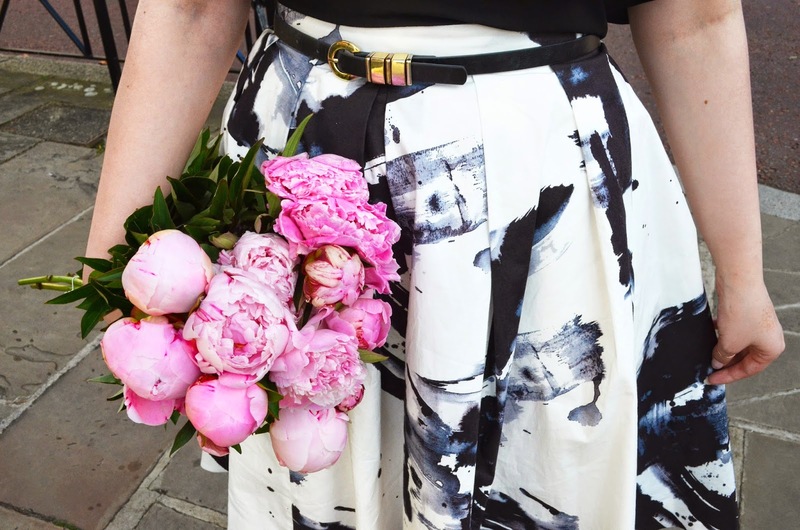 And when are peonies not the perfect accessory?! 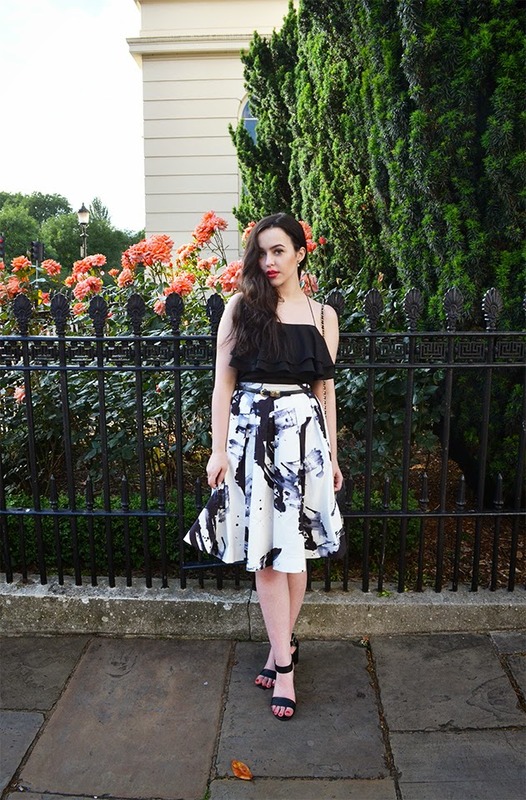 This is such a gorgeous combo - your skirt is to-die for! Your style is absolutely lovely! Still lusting over those sunglasses! 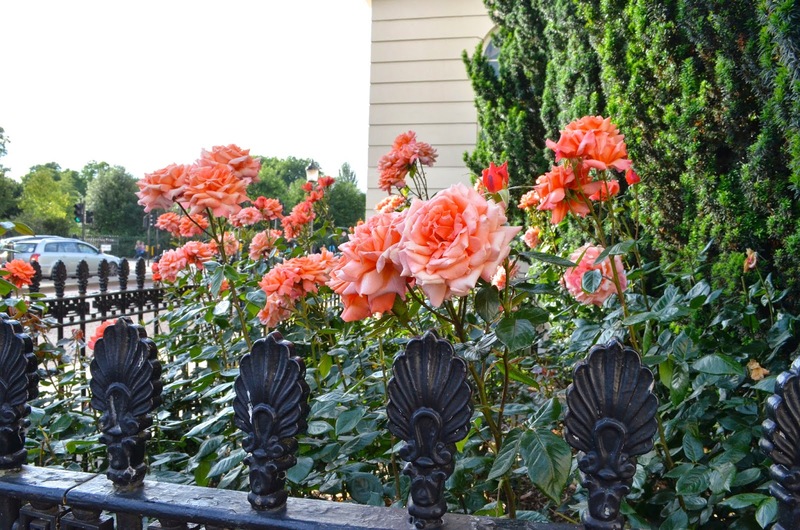 You are so lucky to naturally have such an elegant, sophisticated, old Hollywood glamour surrounding you!